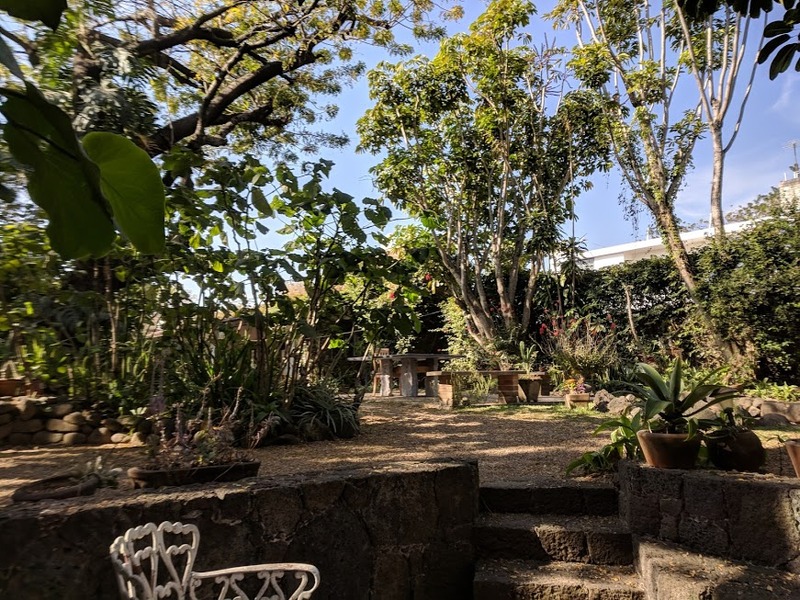 It might be blasphemy to post about my current trip when I haven’t finished all my posts from South America, but here I am in Tepoztlan, Morelos, Mexico, and I want to write about it while it is fresh. I flew Seattle to Las Vegas on Friday evening. My trip got off to a nice start when they called me up to the podium before boarding and asked if I’d be willing to switch seats so a family could sit together. I got moved into the first row behind First Class, which on Alaska is called Premium Class. So a ton of leg room, free drinks, and a snack box (which was nothing to write home about, so if you’re home, ignore it). I stayed at a Best Western near the airport. Decent room, but awful breakfast. Free shuttle from and back to the airport. Alaska flies into Terminal 3, which is also where international flights depart. It opened in 2012, since my last time there. It’s really nice terminal, very spacious. And yesterday morning it was practically empty. This surprised me, since it’s Christmas. I was through check‐in and security and at my gate in less than half an hour. I flew Interjet. It’s supposed to be the JetBlue of Mexico. I’ve never flown JetBlue, so I don’t know. But there was a decent amount of legroom, and they brought free soft drinks and little bags of chips. So I guess Interjet is all that and a bag of chips. Mexico City’s airport is kind of a zoo. It was a long walk from the gate through narrow corridors to passport control. That part went very quickly though. It took a half hour to get my bag, but then they just waved me through customs, and I met my Blacklane driver in a massive crowd of people waiting. Then the traffic just to get out of the airport was insane, and of course, Mexico City is enormous, and the airport is on the north end, and Tepoztlan is south. The entire trip to Tepoztlan took 90 minutes; half of that was just to get out of the airport and through the city. Blacklane, by the way, is a great service. Not cheap, but very convenient. I booked on line, and I got text messages letting me know the name of my driver (Marco) and when he arrived at the airport. He was waiting with a card with my name. Nice guy, and he checked his schedule and will be my ride back to Mexico City on Wednesday. He pointed out the highlights as we drove through the city (the stadium from the 1976 Olympics and the huge Estadio Azteca). The drive to Tepoztlan (once we were out of the city) was on a very well‐maintained highway through twists and turns over the mountains into this valley. But I couldn’t see anything because it was dark. I’m looking forward to the return drive on Wednesday, when it will be daylight. The Airbnb where I am staying is a small cottage. The owners live in the main house, and in between is a nice garden where I am currently sitting as I write this (see photo at top). It was almost 9:00 when I arrived last night, and I was hungry, so after I got settled in I walked to the center. This turned out to be quite a feat in the dark for someone with a bum ankle. Sounds like a nice trip, enjoy Mexico, we have snow this evening!